Taking the beard out of beer! : Hopping for a Heavenly Experience! Morning beer lovers, I’m super-excited to announce details of my latest collab and how we are launching it. It’s called Green Goddess and I have once again teamed up with Ilkley to make a slightly bonkers, but hopefully belting, beer. Myself and a bevy of brewers, ate a truly delicious buffet lunch before listening to Mr Hop himself, Paul Corbett of Charles Faram about the UK harvest, which is actually looking surprisingly healthy, my new hero Dr Peter Darby of the Wye Hops research and development facility and the wonderfully passionate Alison Capper, who is subtly overhauling the British Hop Association – which was all very enlightening. After this, and a mosey around to see the bines and some traditional hop stringing demonstrations, we jumped in the car and drove up to Ilkley (trying not to be lulled to sleep by the soporific effect of the hops) to brew the next day. The lovely people at Ilkley had sourced some La Chouffe yeast and so, alongside the brewster Harriet, we set to work creating what I hope will be a truly heavenly beer. As is usual with me, you won’t be surprised to hear that there are a few surprises in the beer, and this time I wanted to add some Szechuan peppercorns, to help underpin the spicy nature of the yeast and bring a little ‘oomph’ to proceedings and also Nigella seeds (also known as Roman coriander, which chimes nicely with the reference to the historic connection we’ve chosen for the name! ), for their slightly bitter, lemony aspect. So, where can you get it? Well, we’ll be launching it on October 3 in London and it will be sitting on the bar alongside my previous Ilkley collab, Siberia, and the brewery’s new, luscious but low ABV, golden beer called Dinner Ale, which is a celebratory brew of the beautiful Nelson Sauvin hop. *The first hop walk being courtesy of Shepherd Neame, which I thank profusely for a lovely 24-hours of hospitality and you should check out the Kent Green Hop Beer Fortnight website here for more info on that very cool idea. Hello Melissa. 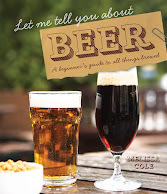 I am french and I read your book "tout sur la bière" Thank you for this awesome book, really fantastic. Enjoyed a glass of Green Goddess in the Old Red Cow, Smithfield the other Friday. Didn't enjoy being half crushed to death in the process. If ever a pub needs extending then the Red Cow is a prime candidate! ps. The beer itself was very good. We were wondering where the Belgian influences were coming from last night, La Chouffe yeast BOOM! Frankly I'm learning more every day about beer, we guessed it would be the yeast, I wouldn't have thought it would be so prominent. Really enjoyed this Melissa, Ilkley, appreciate your efforts.